New Delhi: Prime Minister Narendra Modi's next 'Mann Ki Baat' programme will be broadcast on July 28 at 11 am. The Prime Minister, Shri Narendra Modi will address the nation in the next series of ‘Mann Ki Baat’ programme on All India Radio on 26 July, 2015. 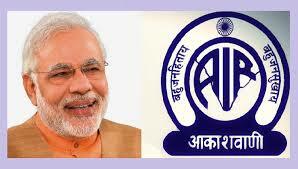 This is the ninth edition of the radio program in which PM shares his thoughts with the citizens. The Prime Minister has also invited citizens to share their thoughts and ideas for the programme on the Open Forum of MyGov.in.